Yes, our bassets are normally up and about by 0600 and give or take a few minutes they’ve been demanding to be let out and have their breakfast. Before settling back down for a post breakfast snooze. The only trouble with this routine is that whilst they happily bed back down for a sleep by then I am thoroughly awake! On Christmas Day there was much excitement with present opening. I have to admit I feared the worse. 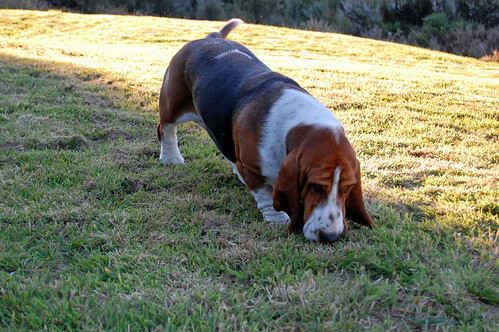 Little basset just loves to get his nose into everything and where possible have a good chew of things. They were actually quite restrained, except when it came to their own presents. Of course the paper was as much, if not more, fun than the gifts themselves. A dog water bottle – specially designed for easy human transport but with a clever flip lid so a basset tongue can access. A squid thing – another thing to chew and play tug of war with. There was no chocolates, chewy bones or other junk food for our bassets. They get quite enough snacks and treats without encouraging them to eat more! 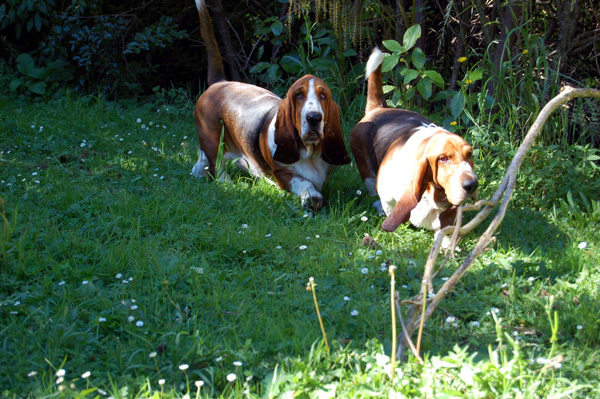 Aside from presents the bassets have benefited from lots of walks and attention. They has been no shortage of people to rub their bellies and necks. Also, also willing souls to take them out for a sniff and trot. 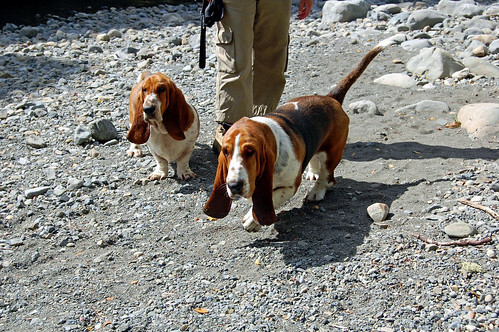 Here’s a couple of happy bassets with MT. Trotting along together as they love to do. 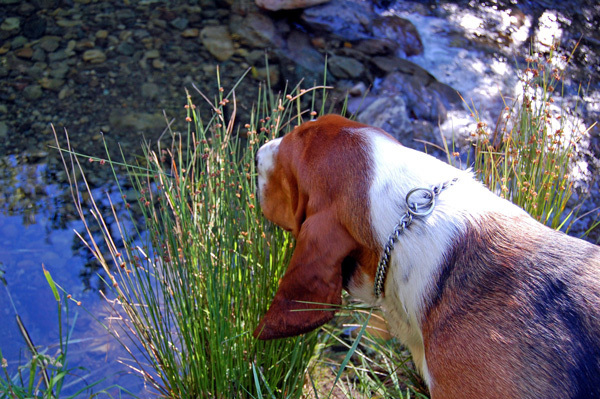 Little basset was in his element. Able to walk at his own pace in his own time. Not being held back by his brother who loves to drag his feet on his walks. I would have animated this selection of pictures had the computer not kept letting me down. 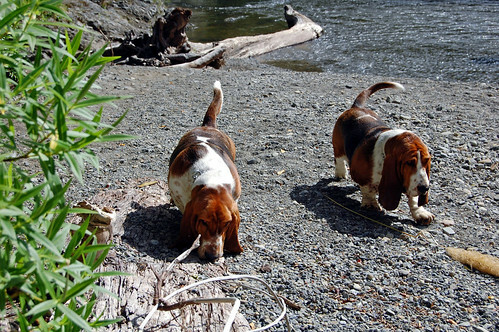 Life is too short to keep fiddling and faffing with it when there is basset walking to be done. 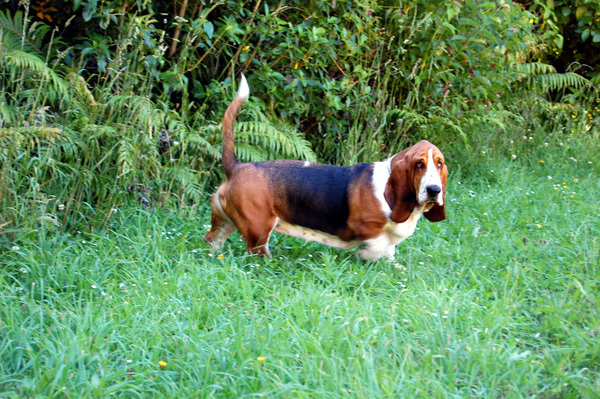 Here’s little basset again making a break from the pack to get to me and the camera. He really is such a show off! There has been a fair amount of bridge crossing. Here’s the Kaitoke Swing Bridge. 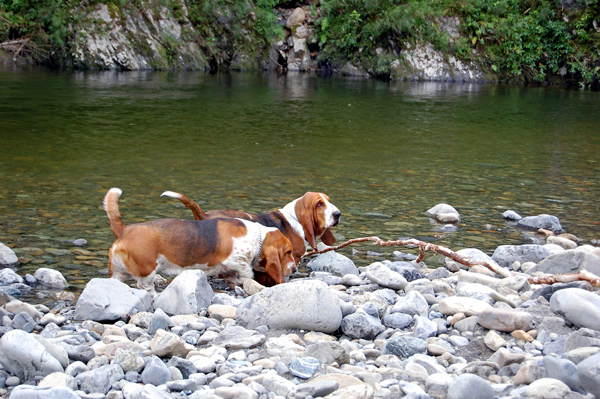 Fortnum prefers to be paddling in the water not looking at it. That’s when he’s not sniffing around with his brother. 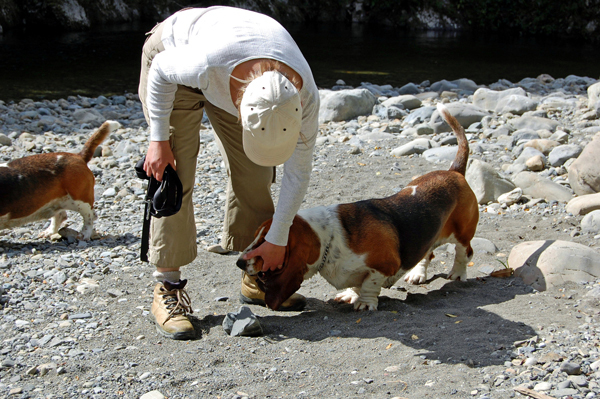 This is something I do a lot on basset walks. Retrieving something gross from their mouths. It’s fair to say that I’m not all that popular when I take away their hard earned forage treat. But, it doesn’t take long for Fortum to get back to sniffing business! 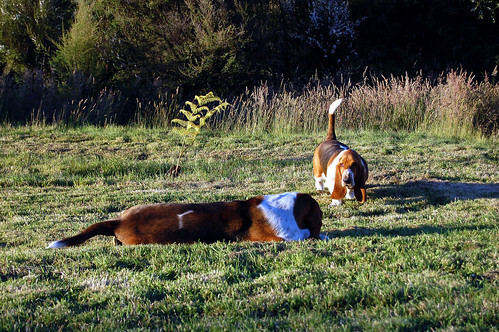 Sniffing is a big thing for bassets. Wherever they are walking. As is Fortnum giving me dirty looks! But he loves sniffing a bit more I think. Although it’s a close run thing for his love for Mason. Here he is waiting to pounce! It is fair to say that whilst there has been plenty of walking, sniffing and playing. 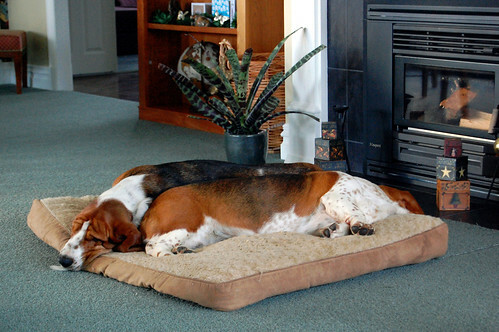 This is what the bassets have done the most this Christmas. Now come to think of it this is what they do the most all of the time. Not a bad life eh! Previous Post: « It’s been a scorcher – perfect for burning!